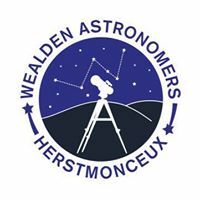 Notice of a members meeting on Saturday 22nd July 2017 at the Observatory Science Centre in the cafe. 7.00pm arrive for 7.30pm prompt start. The membership will be meeting to discuss recent events and to agree the way forward for the society. All members are most welcome and contributions and ideas for the future of the society will be gratefully received. Please note that we only have the cafe until 8.45pm and must vacate by 9.00pm for Sandra to lock up.